AUSTIN — The University Interscholastic League is proud to recognize 15 of the best UIL sponsors in Texas as the 2018 UIL Sponsor Excellence Award winners. A panel of judges selected the winners in the areas of academics, athletics, and music from nominations submitted by school principals and superintendents across the state. The award, now in its 28th year, was created to identify and recognize outstanding sponsors who enable students to develop and refine their extracurricular talents to the highest degree possible within the education system. Bonnie Anderson has dedicated 40 years to UIL Music. She has been band director for 40 years and coached State Solo & Ensemble for 34 years. Anderson led Littlefield High School the past 26 years with her bands earning 14-consecutive UIL Sweepstakes awards and advancing to the State Marching Contest in four of the last five seasons. Her students have advanced to the State Solo & Ensemble contest in each of the past ten years. During her 20-year career in softball, Deanna Coleman has led three different teams to the State Tournament, winning a state title with Richland High School and Lewisville The Colony High School. Overall, Coleman has won seven district championships and made three state tournament appearances. She has amassed a career record of 427-125 and was named Texas Girls Coaches Association Coach of the Year once. During her 33-year career in UIL Academics and One-Act Play, Cindy Couch has coached at Lockney High School, Olton High School and currently Shallowater High School. At Shallowater, her teams have advanced to area 13 times, regionals ten times, and have been a state finalist three times. At Lockney and Olney, Couch coached prose, poetry, and debate. Throughout her 16 years in UIL Academic Competition and One-Act Play, Kimberly Fryman has been the Academic Coordinator at Mount Enterprise High School. Her OAP teams have won 14-consecutive district championships, advanced to regionals nine times and the state finals twice. She has helped students reach the State Theatrical Design meet in each of the last four years. Christina Guerrero has been the head coach of the San Antonio Cole High School Girls Basketball team for the past 20 years. While at the helm, she led the team to 10 district championships, three regional appearances, and one state tournament appearance. She also coached the tennis teams at SA Cole for the past 11 seasons, leading the squads to three district championships, and three girls individual state singles titles. Coaching cross country the past four seasons, Guerrero led the boy’s team to a state runner-up finish in 2015 and district championships on both sides all four years. Cindy Huseman has coached UIL Academics at Nazareth High School for the past 19 years, which includes CX Debate, Academics, and Speech. She has been the school’s UIL Academic Coordinator for the past five years where she has led 39 teams to the State Academic Meet, and her team won the state championship in Journalism in 2016 and 2017. During her career, Huseman has also been the UIL Academic Coordinator for the elementary and junior high schools, as well as serving on the regional advisory committee. Gary Joseph has been coaching football for 41 years, with the last 15 years coming as head coach at Katy High School. He has amassed a career record of 201-20 while leading his team to 13 district titles, eight state championship appearances, and four state titles. His team never won less than ten games in a season. He was the president of the Texas High School Coaches Association for one year and served on the board of directors for three years. He also was a member of the UIL Football Rules Committee and the UIL Football Location Committee. “I believe in developing relationships with student-athletes in an attempt to inspire, help them grow as young men, and lead them toward a never say die excellence, through the development of respect, hard work, and unselfishness,” Joseph said. Eric Mears has been involved in UIL Academics for 17 years with the last 14 years coming at Flower Mound High School, speech and debate director all 17 years and has served as the academic coordinator for the past three years. Mears has led his teams to 13 consecutive district championships, eight regional championships and 13 appearances at the state academic meet. 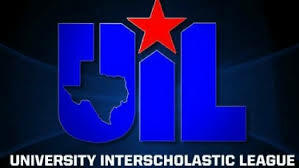 In 2011, he guided his team to the UIL State Academic Championship. He has been a member of the speech regional advisory committee for three years and has been a leader of more than a dozen workshops and panels at the Texas State Speech Communication Association Convention. For the past 33 years, Michael Merritte has been a UIL Academic coach for Galveston Ball High School. During his time at Ball, Merritte was the head speech coach for 30 years and the school’s academic coordinator for the past seven years. He has led his teams to multiple district championships and six appearances at the state meet. Merritte has also served on the UIL State Speech Advisory Committee, UIL Regional Advisory Committee, and has been a judge at numerous UIL academic competitions. Anthony Newberry has been a UIL Academic coach at Wichita Falls Hirschi High School for the last 19 years. He has coached teams in calculator applications, computer science, mathematics, and number sense. Under his tutelage, his squads have captured 45 district titles, appeared at the state academic meet 23 times, and won three team state titles. He has also had five individuals win a state title. Ramon Nino has been the Concert Band, Marching Band, and Mariachi director at Fort Worth North Side High School for the last 12 years. He has led his students to numerous first division honors at the Texas State Solo and Ensemble competition. In Mariachi, the school has received the first division award the past three seasons, and 19 outstanding performer medals at the 2017 UIL State Mariachi Festival. Chris Rector has coached the UIL One-Act Play team at both Lampasas High School and Sabine Pass High School for a combined 15 years. He has taken groups to the state championship twice with one garnering state runner-up honors and a state-best actor award. Rector’s One-Act play casts have received over 140 individual awards. While at Lampasas, he led the Academic Team to a district title for the first time in over 20 years. Noah Recker is known for coaching the UIL Congress, Debate and Speech teams at La Vernia High School. He led the speech team to two state championships and a state runner-up finish and guided his students to 51 individual state championships. Recker has served the UIL advisory committees for Congress and debate. At both Abbott High School and Aquilla High School, Travis Walker has been a coach in One-Act Play, Film, Speech and Theatrical Design. He was also a baseball, basketball, cross country, football and track coach for over ten years. At Abbott, Walker led his teams to two state One-Act Play titles, three runner-up finishes, and three Samuel French award winners. He also guided four students to State Outstanding Technician awards. A 14-year coaching veteran, Annette Walker has sponsored the UIL Computer Science team at Friendswood High School. She has led teams to four state titles, two runner-up finishes and three students have won individual titles. The computer science team has won the district championship in all 14 years Walter has been coaching.